Help! 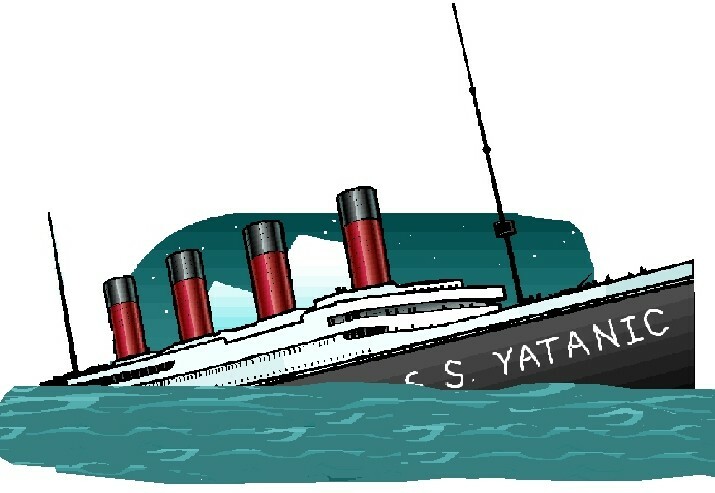 The Yatanic is sinking fast! If you’ve been reading in here at all, you are aware that the Yahoo Classic Groups platform was crippled by the redesign which was a failure. We have been stuck in a broken interface for going on 3 years now and are unable to delete the groups or memberships, so many of them remain in place looking like they are active when they’ve actually become “Ghost Groups” that are full of spam. This may be our last chance to save the Groups Interface. 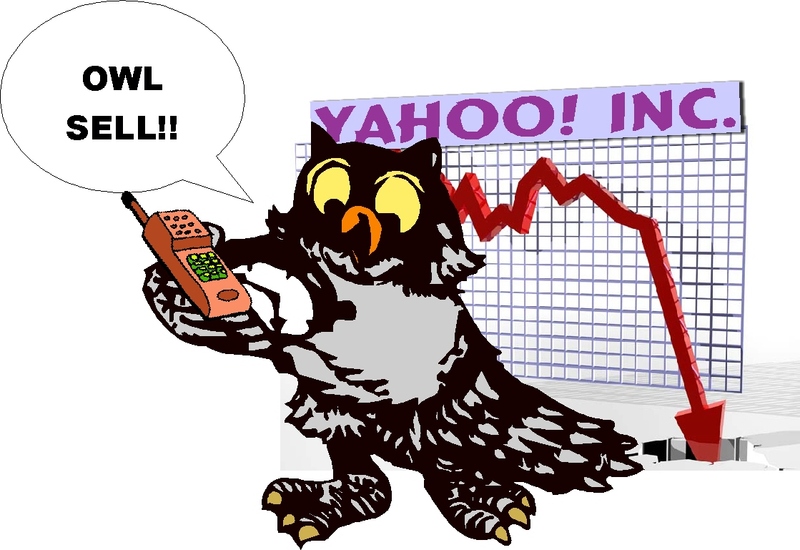 Since Verizon is now purchasing Yahoo, we are very concerned about our future. As long as Marissa Mayer remains in charge, nothing is likely to change. We are increasingly worried, as more and more things are failing or breaking every day. Mayer continues to chip away at the core that Verizon has purchased, with her “upgrades” which are a disaster. We’re afraid she might even get rid of us all together, and no one would know the extent of what she did to us. Recently there was an upgrade to Yahoo Instant Messenger, that is a truly awful design, and made it all but unusable. Verizon needs to be told so they can protect the platform they purchased! Someone tell the shareholders, the investors, everyone that if something isn’t done soon, there may be nothing left to save! Verizon needs to remove Mayer and stop her from destroying the core business! Verizon, please get some good programmers who know what they are doing, and help us repair our damaged Groups interface before we lose everything we’ve accumulated for years! 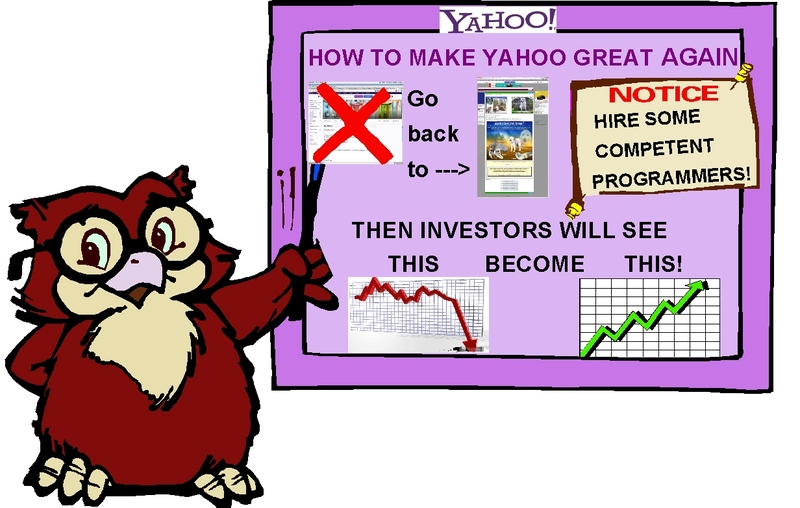 What Yahoo Was And Could Be Again… Great! We have warned the advertisers that they are advertising to inactive groups and that on many of the groups that are active, the ads won’t even work. Yahoo in the meantime, claims all this activity, which is non-existent. On January 20, 2016, the Classic Groups Core platform that was already limping along badly, started breaking more. It’s now August, 2016, and we are still losing functionality at an alarming rate! So please, someone, put our story out there and tell the public what is happening!? Just tell them we exist! Just post the link to our Crusade Blog somewhere? People who use mail are also reporting serious problems with it. Mail is a huge part of the core business. Verizon & the general public need to know what’s happening! Please help us tell them? Because it feels like we’re sinking fast…and the exodus from Yahoo has stepped up its pace. I don’t know how long we can all hold on. Feedback to Quartz on Mark Coatney’s article. Although his focus was Tumblr, coincidentally Mark sums up Yahoo! Groups. Who Or What Is Yahwhoooo? Since it seems to be a well-kept secret: Yahoo! Groups has hundreds of millions of users generating a vast archive of content for each other in the daily care of an unpaid yet dedicated moderator team bigger than the Chinese army. All these people come to Yahoo! to share the things that excite and concern them, and while they are on-site, their eyeballs are in Yahoo!’s pocket (as it were). In Groups, Yahoo has a distinctive world-leading user-magnetic property in which all the work is done for them – apart from actually manning the content data-centres. Or should I say “had”? Naturally Yahoo! wanted to monetise this unsung gem, and naturally they wanted a great user platform, so in 2013 they assigned Yahoo! India to re-write the boring old user interface. But because Yahoo had long since lost the source code, the keen young development team took a chance and adopted the new doctrine of ‘Coding without a Net’ ie modifying the LIVE product, untested – inflicting bug after bug, day after day, on a massive live audience – from half a world away. Over two years later, tranches of functionality remain crippled, most heartbreakingly the godsend facility for blind and partially-sighted users to have Screens of text read out to them. All this brought a profound backlash from users. Millions fled to other platforms to avoid the bugs, while millions more have dropped their usage drastically. Huge volumes of daily traffic have shifted to Facebook Groups, which (although pretty Mickey Mouse in functionality by comparison), do actually work. When I look down the message stats for my own list of dozens of groups (i.e. thousands of members), most seem to have died on their feet. As a moderator, I still have a user core who still have a perfectly good Groups experience. But their trick is to use Groups via email. While they don’t whinge as they never see the wretched interface bugs, they also never click on another Yahoo! property, and never see a single advert! 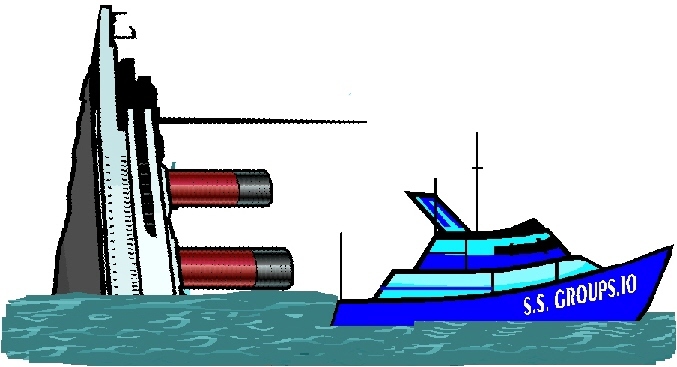 Advertisers, Your Ship Is Sinking! Ah yes, the adverts – crass, screen-hogging, annoying – exactly what Ad-Blocking was designed for! In striking contrast to Google adverts, which most people I ask don’t even notice. So now we now have a vocal Groups community, raging against the hand that feeds them, many hoping against hope that a forthcoming retirement announcement by Marissa will somehow bring back the boring old Interface that worked. When Did Classic Become A Bad Word? I have a better idea: recognising the uniqueness and power of Yahoo! Groups and managing it properly along the principles that Mark sets out for Tumblr. I started the Yahoo Crusade (#2) on August 31st, 2013. It began because NEO had started affecting people, and someone came to me via the MM group (which still existed from the previous crusade) and asked me to help them again. So we started trying to get Yahoo to stop destroying Classic Groups. We wrote Marissa, Henrique (the COO), and others at Yahoo first. Then we wrote advertisers, stockholders, and media. At one point, I was writing over 100 reporters and 150 advertisers. Then I joined Twitter, learned to tweet, and started trying to reach the media and others that way. Along with others, I established a tweeting connection with Yahoo’s Jeff Bonforte, who was the senior vice president of communications, but he was no help. He ultimately wound up blocking us, and we gave up reaching anyone at Yahoo through him. At the beginning, I had a lot of help. We created the blog for the Yahoo Crusade, originally titled the Mods and Members Blog; people sent their stories in and we posted them. 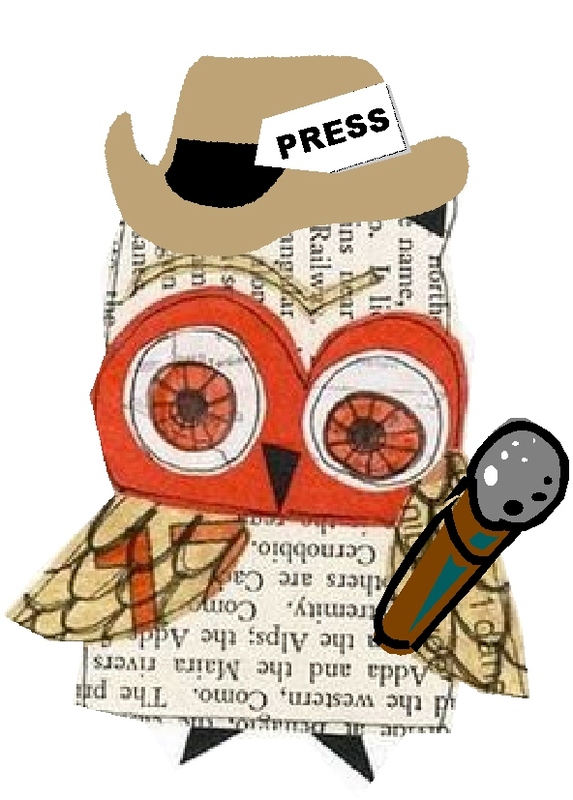 My main WordPress editor and I (because I’m all thumbs in there) created owl and other graphics and worked tirelessly for months to make the blog what it is. Tyger and Duane worked with me, doing research and creating documents and other items for the blog. Tyger ultimately got fed up with Yahoo and left. Duane did the same, although more quietly. I still had some people left who were helping me, but I had lost a huge chunk of my research team, and I needed that desperately. Then my main WordPress editor’s life changed when her mother died, and she no longer stayed up all night with me working on the blog. She got a job, and although I can contact her and ask her help with it, we haven’t been able to do nearly as much as we could before, and I completely understood that. I also had several moderators helping me with the group. Somehow down the line, I lost touch with one of them for a while. Others are still around, but some had problems with their Yahoo e-mail addresses, and I don’t know how to contact them for sure. Tyger ultimately created our new home, MMSanctuary, on groups.io and joined there. Duane came when I contacted him and asked him, so my moderator and research team are now over there as well. Shal even allowed me to make him a moderator to help me out when I was stuck and couldn’t find Tyger, and I added another new moderator this year. A year into the Crusade, August 2014, it was becoming apparent that we were not going to succeed in our quest this time. I had lost my research team, the reporters were getting tired of hearing mostly only from me, and I was not able to keep up the same pace as before. My elderly parents both had serious surgeries in the early part of 2014, and even though Dad was in the Veteran’s Home, there was a lot for me to handle for them. It began to take more and more of my time. Then in August, I was fired (removed) from my piano job at the church due a huge misunderstanding about the terms of my contract. I was was actually glad in a way to not have the job because I don’t read music well and was having to do more and more to cover for Mom, who was the organist with me. However, the way it happened got my mom depressed, upset me, and caused a lot of stress. Meanwhile, three days before I was let go from the church, Mike Brown was shot and killed in Ferguson. That set off a HUGE media firestorm and caused us a lot of issues because my mother lives between Dellwood and Ferguson. She was 84 at the time and wouldn’t move. I live only 6 miles from there and had to regularly go in and out of part of that area to get to Mom, so that became an ongoing source of stress and worry. Then on November 11th, my mom fell, broke her hip, and went into rehab for awhile. That was before the Mike Brown verdict and the night the rioters burned down part of Ferguson, so fortunately Mom was not in the area.She got out of rehab in December, went back home, and things were finally starting to settle down some. However, she is 85 now, and we are having communication issues, some based on memory and some based on just our own dynamic. It’s been hard, butI thought things had started to settle down a little last month. I started resolving some things with the church people (as it was coming up on a year) and making better plans on handling Mom and our problems with communication. Also, I FINALLY started trying to get more sleep. I have been going to bed between 3 and 5 a.m. probably on average of 4 nights a week or more since I was fired. I had trouble sleeping, nightmares, and adrenaline rushes. I stayed up for hours and hours monitoring the situation in Ferguson on Twitter and became really good friends with many reporters, including some of the ones I had communication with regarding Yahoo. Since I grew up in the Ferguson/Dellwood area, I was able to direct people to escape routes when tear gas was thrown or shooting started. I warned them where the gunshots were because I watch local ordinary TV and it would break in all the time. I basically safeguarded people while monitoring how close any of the unrest was getting to Mom when she was at home. 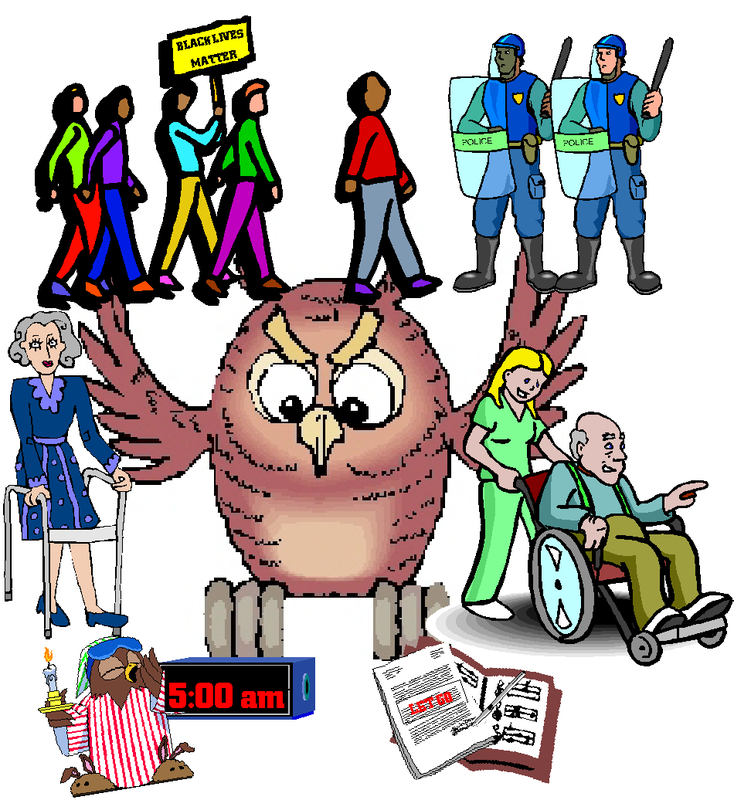 I was developing a better sleep pattern, trying to take care of me more, and getting Mom and the church calmed down when the 1st year anniversary of Mike Brown rolled around last weekend – and all hell broke loose again. So once again I was back on Twitter monitoring Ferguson for nearly 5 nights straight until 4 or 5 a.m. before it finally calmed down again…we hope. It’s still not perfectly calm yet, but the shooting at night has not continued so far, and thank God, no one has set any more fires. So between running out of time on my end (as I no longer had the time I had before with all this going on) and just finding myself exhausted by the end of the day, the Crusade suffered. Someone to create a viral video for us that might have managed to get more of the public’s attention. I had none of this. I had a skeleton research team, and I’m proud of them. I had my main editor whenever she could help me, but I also knew she had to get a job and lead a different life now. I had a few people who agreed to write letters, but it wasn’t enough. I had very few Twitter helpers. I had no one to make a viral video, and I didn’t know how. So you see, that’s where the Crusade wound up. That’s why it crashed to a nearly grinding halt, and I don’t know what else to do to get it jump-started again or if it even has enough power to jump-start. My fervor for the cause has not diminished, not even slightly, but my ability to sustain what I had been doing has been reduced dramatically. I thank everyone who fought this fight, and we decided to leave the group and the blog here for those who want to continue fighting and those who want help leaving Yahoo. Just when I thought we were finally sunk….Groups.io to the rescue! Remember when we asked for someone to build us our own platform for our groups to move to? We said if they’d code it, we would come. Well, someone has! And not just ANY someone. Nope. This someone is Mark Fletcher, the creator of ONElist. For those of you who don’t get that significance, ONElist is what eventually became the part of the basis for Yahoo Classic Groups. You can read more about Mark and his history here. But my point is that we have someone who was part of the beginnings of the original Yahoo Groups now working on a groups platform that very possibly can be our answer! So far, both public and private groups are free, and there are some fees for some things like more storage and the ability to add members directly. I haven’t gotten any pricing from Mark, but you can post to him in the Beta group and ask. Bear in mind, it’s still in Beta testing mode, but that’s more than we ever got when Yahoo hit us with NEO. Some things like photos and database are not yet implemented, but the creator is very open to input and suggestions and is encouraging people to join his Beta Test Group which can be found here. There is also a TO DO List that Mark has created, that can be located here. Features are the TO DO list and there are bugs and updates also on the site. Meanwhile, if you want to check out this new Groups platform, test it out, make suggestions, and create your own group to play with, have at it! You can find it here. Or you can join the test group Tyger and I are running, “Feathered Leader’s Nest,” MM Sanctuary. Then please come back and give us some feedback either here or in Mods And Members, okay? 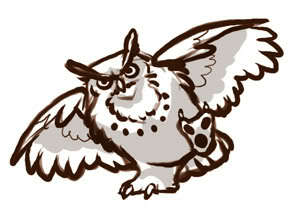 it hunts and hunts and hunts. was so destined for a fall. that the investors learn the cost. First and foremost today, is the unforgettable fact that today is the anniversary of the 9/11 attacks on the World Trade Center. Everything else, Yahoo, Mayer, Ferguson, Church issues, family issues, friend issues, pale in the shadow of that. Because we must remember today, and never forget. It’s ironic that a friend of mine posted in Hollow Tree today and mentioned Affinity. Because it was the Affinity Yahoo Group that first told me about the 9/11 attacks as they were happening. I typically didn’t turn the TV on first thing in the am, but I always came in here and read my mail, checked Hollow Tree, and checked the Affinity Websites. The bar needs to start serving up free booze. I just heard reports that the World Trade Center and the Pentagon were both hit by planes in acts of terrorism – in my mind acts of war. Can someone turn off Montel and put on the news? That post was the first one. But what marveled me, was watching this normally silly, light hearted group of people that I had known quite some time by now, (was already married to John, whom I met through Affinity), suddenly turn dead serious. And suddenly, the alternate universe we’d created was no more. Instead, all we had, for hours and hours, was a Yahoo group of people who’d not always gotten along, some who had serious differences with one another, become this tight-knit “family” of sorts, as we supported one another through the horror as it unfolded, and even through the days to come until everyone that one of us knew in the NY City area’s fate had been determined. Now, Affinity is scattered to the winds. I’m in touch sparsely with a few of them, the Yahoo group still stands and is used whenever someone dies or finds us. 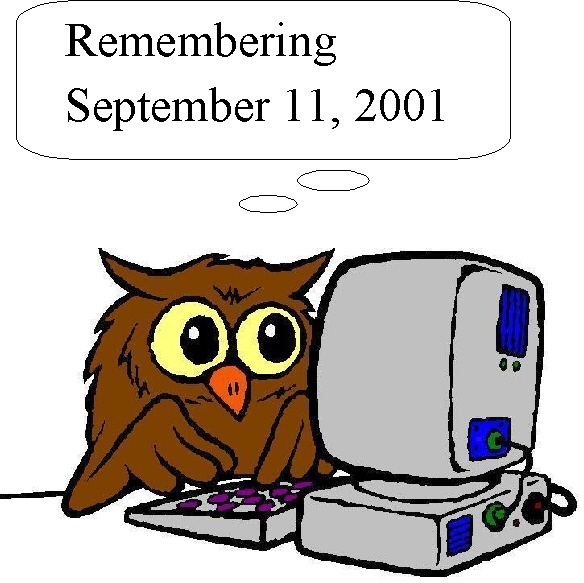 The founder died, the group may be dormant most of the time, but I’ll never forget the transformation that took place in that Yahoo group on September 11, 2001. We were all there for one another, regardless of feelings, grudges, past hurts, and that was just as it should be. So on this 13th anniversary of those events that shook the world. We need to remember those who lost their lives, their loved ones, or were in any way affected by this tragedy. And those memories should bring us together, not set us apart. That’s what matters most on this day. Will Stomping Our Feet Help? That new wiggly logo is something an earnest 8-year- old would dream up. But then maybe that is the real audience Yahoo is looking for. I’m unhappy with Yahoo making all the groups line up for an open footlocker inspection and making sure our fingernails are clean and that we have written a letter to Mom. I actually had put in time, effort and design skills into my original front page for my group. Then all hell broke loose over a Saturday that Marissa spent with an intern and decided to make everything “UNIFORM” and then sat in the break room and redesigned the logo, after having rejected a months worth of submissions from actual Designers/Yahoo users!